why can't I ever think up a scam like this? Remember this asswipe? 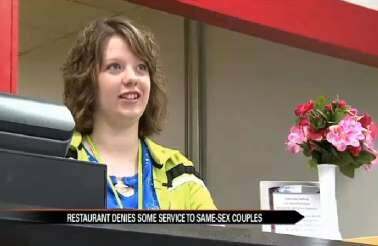 She and her family announced that they wouldn't serve pizza at a hypothetical gay wedding, then closed up shop, citing "internet threats"? A GoFundMe campaign was started to support them - and it's cleared $840k! If I go all publicly anti-LBGT, do you think I can get thousands of suckers to pay for my retirement? 'Cause the way things are looking right now as far as my finances are concerned, I'll do it in a minute.